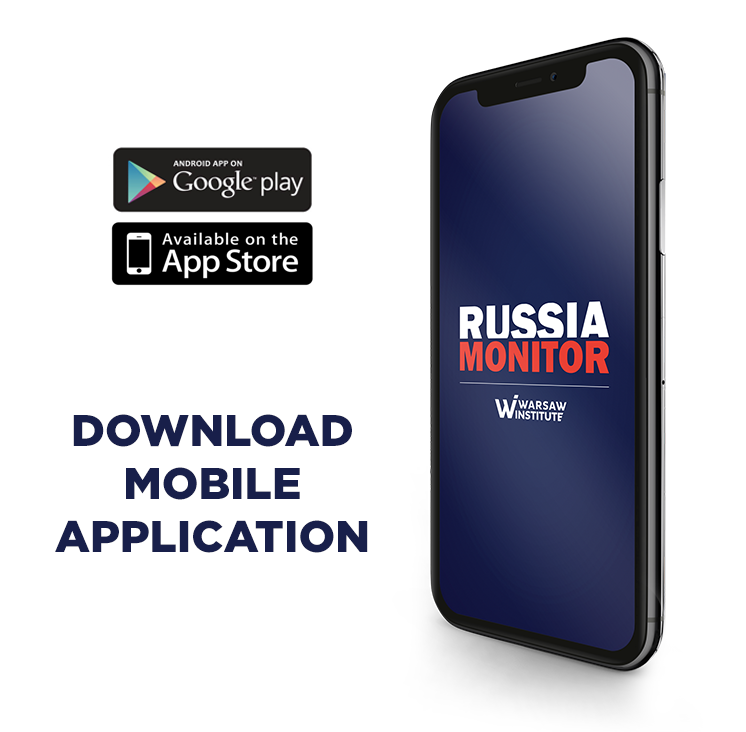 Russia has in the past focused on intensifying its activities in the south, as exemplified by the conflict with Ukraine and Moscow’s armed intervention in the Syrian civil war. Symbolically, this is illustrated by making the Black Sea city of Sochi Russia’s “summer capital” and a place where Vladimir Putin hosts world leaders and Kremlin officials. The Black Sea is to become a platform from where Russia is able to exert influence on neighboring regions, including the Middle East, the Balkans and the Mediterranean countries. The Kremlin’s accomplishments in the Black Sea region and friendly ties with the Turkish authorities successfully obstructed shipping Caspian hydrocarbon supplies to Europe. Thanks to the annexation of Crimea from Ukraine in 2014 and increased combat capabilities in the immediate vicinity of the peninsula, Russia finally managed to regain dominance across the Black Sea it had lost in 1991. For Russia, it is vital to exert full control over Crimea as it will permit the Kremlin to hold Kiev in check while extending field reconnaissance activities and firing capabilities to the vast area of the Black Sea. Following Moscow’s capture of Crimea, Russia felt free to use the Black Sea Fleet as a tool for extending the Kremlin’s sphere of influence across the region. 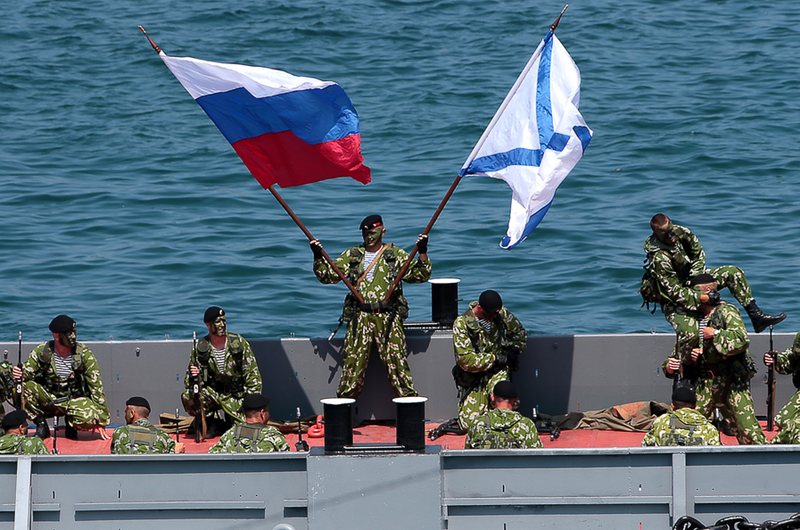 Once developed, the Fleet will need to safeguard the Black Sea, preventing all enemy forces from launching an attack on Russian territory, including the Crimean Peninsula. 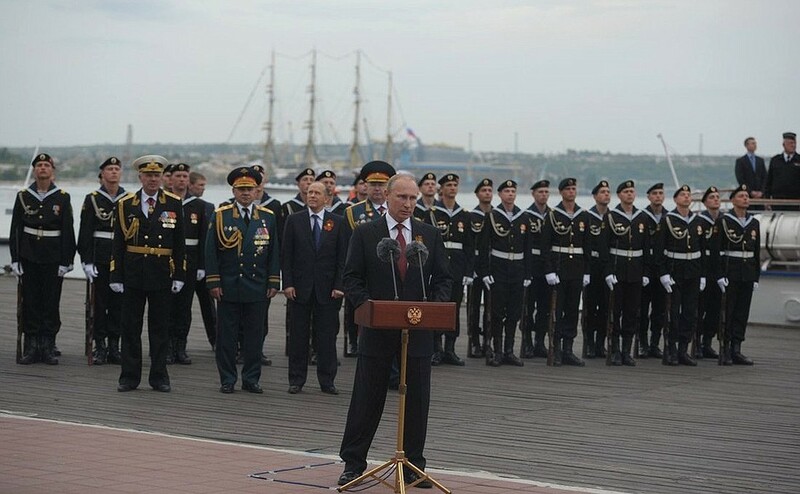 Furthermore, the Fleet serves an essential function in carrying out offensive operations whereas its permanent operational formation performs in the eastern Mediterranean all necessary activities to expand Russia’s combat readiness in the Middle East. Also, Russia’s expansion in the Black Sea is nurtured by vulnerable NATO’s flank located nearby. Bulgaria’s unclear policy hinders strengthening of the Alliance’s defensive capabilities, a phenomenon which is particularly noticeable at most crucial moments. Formally a NATO member state, Turkey is committed to carrying out a policy that remains in line with its own interests. Romania is now the Alliance’s most reliable member in the Black Sea region, posing the last major hindrance to the Kremlin’s further expansion. Nonetheless, the country’s opportunities are quite faint if to take into account limited access to the sea, the powerful Black Sea Fleet nearby and the closeness of the Crimean Peninsula occupied by Russian servicemen. Since the early 18th century, Russia’s top goal of its southwestern policy was to exert influence on the Black Sea while securing power over the Turkish straits or at least retaining the right of freedom navigation through them. Moscow’s dominance over the Black Sea region will bear no fruits if the reservoir remains closed, instead of becoming a springboard for further expansion to the Mediterranean region and the Middle East. Russia’s annexation of Crimea from Ukraine has paved the Kremlin’s way to achieve all its political goals, renewing the Soviet concept of the Black Sea as Russia’s “inner lake” that permitted to develop the country’s southwestern expansion to the Balkans, Middle East and Mediterranean region. Signed in 2015 by Russian President Vladimir Putin, the Maritime Doctrine of the Russian Federation emphasizes the improvement of naval capabilities through infrastructure development in Crimea and along the coast of Krasnodar. 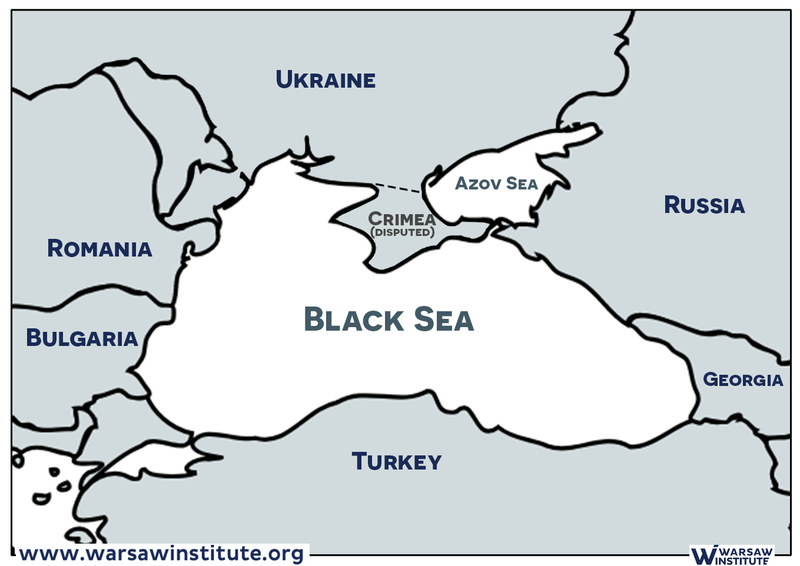 Russia’s annexation of Crimea from Ukraine has paved the Kremlin’s way to achieve all its political goals, renewing the Soviet concept of the Black Sea as Russia’s “inner lake”. The lost cold war eventually turned out to be costly for Moscow, as a result pushing it to the northeastern corner of the Black Sea. Romania and Bulgaria were the first to take decisive steps to diminish the Soviet influence over their republics while their example was later followed by two independent states of Ukraine and Georgia that emerged at the Black Sea coast. Russia managed to retain a strip of coastline located between Anapa and Sochi while in order to sail out the Sea of Azov, the Russians needed to acknowledge Ukraine’s presence in the Kerch Strait, which aggravated their already tense situation. Back in 2004, NATO’s coastline extended after Bulgaria and Romania joined the Alliance, coinciding with color revolutions in Georgia and Ukraine. Facing such changes the Kremlin needed to reckon that the Black Sea might become “NATO’s internal lake”, which prompted Moscow to launch a counter-attack. 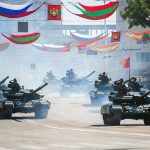 Interestingly enough, over the past decade, Russia’s most aggressive foreign policy has been targeted southwest: in 2008, the Kremlin used its loyal separatists in Abkhazia and South Ossetia to attack Georgia, thus thwarting Tbilisi’s ambitions to join the Alliance. Furthermore, the Russian army was free to officially invade Abkhazia, a strategic region that stretches along the Black Sea coast with the seaport of Sukhumi and an import naval base in Ochamchire. Moscow could extend its controlled Black Sea shoreline while making a considerable step to cut off the eastern part of the reservoir. More importantly, the Kremlin sought also to go for expansion towards the west. After the fall of Yanukovych’s regime in Ukraine, there emerged a threat to eliminate Russia’s limited military presidency in Crimea and even to host NATO forces in the peninsula in the future. Russia responded promptly using Crimean facilities that dated back to the Yanukovych era and profiting from ineffective Ukrainian army and special services to seize power over the peninsula without a single shot. Moscow’s authority over Crimea, whose strategic value has been long emphasized, dramatically shifted the military situation in the Black Sea. Moscow’s authority over Crimea, whose strategic value has been long emphasized, dramatically shifted the military situation in the Black Sea. After the dissolution of the Soviet Union, followed by dividing the Soviet Black Sea Fleet into Ukrainian and Russian units, the latter was long plunged in a deep crisis: barely functional, it disposed just of a handful of operational vessels. Due to tensions with Ukraine and a general lack of investment in military procurement, Russia had sent only one combat ship to the fleet between 1991 and 2004. The situation has changed since Russia’s annexation of Crimea in 2014. Russia established control over part of the Ukrainian fleet while taking efforts to upgrade the Black Sea Fleet that received six Admiral Grigorovich-class frigates, six Vasily Bykov-class patrol ships and six Kilo-class attack submarines, all armed with Kalibr long-range cruise missiles. The Black Sea Fleet’s firepower doubled in the period from 2014 to 2017. In 2016, six newly-built submarines entered combat service. Furthermore, the Black Sea Fleet has three of the six frigates while the remaining part is scheduled to be delivered in a few years due to the Russian-Ukrainian conflict. The Fleet will be additionally reinforced by Buyan-M and Karakurt class corvettes, designed to operate in littoral zones. In summer 2018, five units of the Caspian Flotilla ships were deployed to the Sea of Azov while current plans call for two Black Sea Fleet coastal defense brigades, one located near Sevastopol and the other one close to Novorossiisk. Each brigade would be equipped with 3-5 Bastion battalions and 1-2 Bal battalions. Furthermore, the Black Sea Fleet recently received a variety of new aircraft, including 12 new Su-30SM and a large yet unspecified number of Ka-52 and Mi-28N helicopters. Ground force units were also strengthened with the deployment of Msta artillery and Tornado multiple rocket launcher systems. In consequence, the . But all this is not enough. Sending a large number of Russian military units to the peninsula, followed up by deploying modern radars and missile weapons have altered the military situation in the region. Back in November 2014, NATO Supreme Allied Commander Europe, U.S. General Philip Breedlove warned that Russian militarization of Crimea “could exert influence over almost the entire Black Sea region.” Moscow’s annexation of Crimea has augmented fire range of Russian missiles to NATO’s southern flank, enabling Russia to attack any Black Sea surface facility from the Crimean shore. Moscow’s annexation of Crimea has augmented fire range of Russian missiles to NATO’s southern flank, enabling Russia to attack any Black Sea surface facility from the Crimean shore. First and foremost, the question of the Black Sea naval bases finally managed to be secured; owing to an uncertain Ukrainian politics, it had earlier been taken into account to expand and transfer the core of the fleet along with its command to the naval base in Novorossiisk. Following the annexation of Crimea, this role was eventually assumed by the port of Sevastopol. Moscow, in its turn, gained free access to local infrastructure, including training grounds, airbases, naval bases and harbors, all of which they had used only after being granted a permit from Ukraine. Russian annexation of Crimea has shifted the country’s military presence more to the west, as exemplified by the deployment of S-400 and Pantsir surface-to-air missile systems and Bastion and Bar coastal defense missile systems allowing to carry out operations covering all the sea. Prior to 2014, Russia’s dominance both in the air and on the sea was limited to the eastern part of the Black Sea. The S-400 air defense system can be outfitted with long-range or medium-range munitions. Accurate up to 250 kilometers, it is considered one of the most lethal on the planet. Before the Kerch Incident, Russia deployed four S-400 battalions to the peninsula while the fifth one was put into active service to Crimea’s Dzhankoy city after what happened on November 25, 2018. They are complemented by the S-300 and Pantsir-S1 defense systems. Furthermore, the P-800 Oniks anti-ship cruise missile, part of the Bastion-P system, has a range of up to 300 kilometers and travels at nearly Mach 2.5 before reaching the target. Crimea also disposes of the Monolit-B radar system that provides coverage of nearly the entire Black Sea when positioned at Sevastopol. It has a passive detection range of some 450 kilometers and provides the Russian military with an excellent real-time picture of the positions of foreign vessels operating in the Black Sea. In 2019, Russia plans to build a Voronezh-M over-the-horizon early warning radar capable of detecting ballistic missiles and tracking them within a total range of 3,500 kilometers. To this are added electronic warfare (EW) systems – “Murmansk”, “Moskva” and “Krasuha”. Once expanded, Crimean airbases will receive new types of aircraft while increasing the reach of Russian aviation to the south and west. Russian jets are also stationed at Belbek Airport near Sevastopol. The first deployment of these aircraft took place in the autumn of 2014 when Su-27SM and Su-30 fighters landed at the airfield. Russian combat aircraft are also stationed at Novofedorivka on Crimea’s west coast, as well as at Gvardeyskoye in central Crimea. In November 2017, Chief of the General Staff of the Armed Forces of Russia Valery Gerasimov said that Russia has established a “self-sufficient military formation” consisting of an air defense division, an aviation division, a naval base, and an army corps. According to Ukrainian sources, a total of 32,000 Russian troops were deployed to Crimea while, in fact, this figure was rather close to 20,000. Furthermore, Russian equipment included 40 battle tanks, 680 armored personnel carriers, more than 170 artillery systems and up to 113 aircraft and helicopters. Once sent to Crimea, Russian navy forces and Spetsnaz may be rapidly transferred to the Balkans or Ukraine if a potential conflict breaks out. Militarily, Russia has become a top player in the region. Russia’s armed intervention in Syria clearly depicts how important it is for Moscow to occupy Crimea and transform the peninsula into a ground-based “aircraft carrier”. Moscow could have achieved this goal thanks to the earlier annexation of Crimea. Local ports are also used by Russian naval and cargo vessels operating within the framework of the Syrian Express plan. Russia’s armed intervention in Syria clearly depicts how important it is for Moscow to occupy Crimea and transform the peninsula into a ground-based “aircraft carrier”. Prior to 2014, Russia had to acknowledge the fact that its naval forces would have been blocked in the eastern part of the Black Sea if Ukraine strengthened ties with the North Atlantic Alliance, not to even mention its accession to NATO structures. This is yet another reason why Russia could no longer maintain the status quo in Crimea following the Revolution of Dignity events in Kiev. Annexation of the peninsula boosted Russia’s position while contributing to the weakened status of Ukraine. Kiev lost most of its army and the entire fleet in the peninsula, managing to keep only the frigate Hetman Sahaydachniy because she had stationed outside of Crimea at that time. In addition, Ukraine no longer handles any air bases or naval bases in the peninsula. Within no more than just several days, the country that disposes of the world’s third-largest fleet ceased to be an important player in the global game. 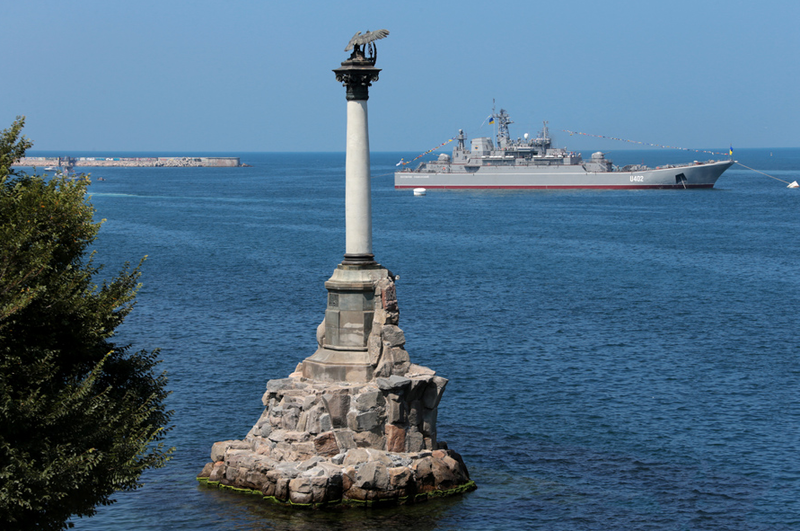 Ukraine, which could boast of its long coastline, Crimea as a jewel in its crown and many naval vessels dating back to the Soviet era, is increasingly pushed away from the sea. The loss of Crimea proved increasingly complex for other Ukrainian ports, both east and west of the peninsula due to Russia’s easy access to the hub in Odessa, Mykolaiv and Kherson. Along with Moscow’s annexation of Crimea, Russia occupied a number of Ukraine’s drilling rig systems in the Black Sea while leaving a narrow sea corridor to Odessa and other Ukrainian seaports located west of Crimea. The situation of Ukraine’s ports in the Sea of Azov is deplorable, with Mariupol constituting the gateway for Ukraine’s metallurgical production and a window to Donbas’s industrial world. Even if one-third of its area remains under Russia’s occupation, Kiev is de-facto in charge of controlling dozens of mines and plants. After 2014, it became clear that Russia, which exerted control over both banks of the Kerch Strait, would seek to tighten its grip on Ukraine’s Azov seaports in a bid to obstruct trade and military shipping. This was also due to a failed attempt to seize Mariupol in spring 2014. 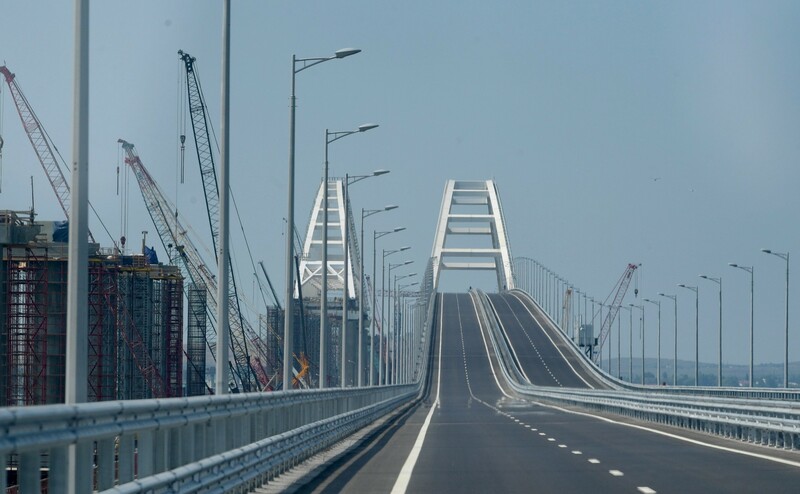 Moscow launched its strategy of restricting access to the Sea of Azov shortly after the opening of the Kerch Strait Bridge that gave Russia a pretext for limiting maritime traffic to and from Ukraine-based ports. Moscow deployed a large fleet of its warships to the region. Russia, which exerted control over both banks of the Kerch Strait, would seek to tighten its grip on Ukraine’s Azov seaports in a bid to obstruct trade and military shipping. When Ukraine attempted to react by increasing its navy forces in the Sea of Azov, announcing also its intention to build a military facility in Berdyansk, the Russian side responded with what was later referred to as the Kerch incident of November 25, 2018. First, Russian vessels blocked access for two Ukrainian trawlers and a tugboat and then seized them after a shoot-out. This was followed by blocked access to the Sea of Azov that lasted for several days. No response from the West to such a blatant violation of law prompted Moscow to carry out further provocations aimed at making the reservoir into “Russia’s inner lake”. The economic blockade might have been complemented by a military operation whose main objective would be to seize both Mariupol and Berdyansk along with the entire strip of land running from the front line in Donbas in the north to the Crimean Peninsula in the south. This would be conducive for satisfying Moscow’s former goal to set up a land link with Crimea, which is naturally bound to translate into Russia’s ever-deeper military presence both in the peninsula and this part of the Black Sea. The Kremlin sought to permanently safeguard a strategic maritime route used by the Caspian Flotilla warships to enter the open seas. Western countries have long dismissed the potential of the above Caspian Flotilla, considering it rather in terms of a coast guard unit stationed in a closed reservoir. In 2015, its warships launched Kalibr cruise missiles into Syrian targets, thus attracting the attention of the global public opinion. Some of the Caspian Flotilla units joined this year a Russian naval grouping stationed in the Sea of Azov. They navigate the Caspian Sea through the Volga River, passing through the Volga-Don Canal, before reaching the Sea of Azov and the Black Sea through the Kerch Strait. Finally, they hit the Mediterranean Sea through the Bosphorus. NATO-backed Ukrainian naval base in Berdyansk would pose a strategic threat to the key maritime route for Russian warship, a problem that could be solved by closing the Sea of Azov. 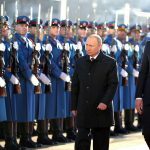 Moscow’s power over Crimea boost Russia’s defensive position; theoretically, long-range weapons deployed to the peninsula hinders NATO forces to penetrate into the Black Sea, a vital solution in the event of a war with Black Sea members of the Alliance: Romania, Bulgaria or Turkey. NATO ships sailing into the Black Sea remain under the close supervision of Russian tracking ships and radio intelligence systems. Under the Montreaux Convention, vessels belonging to non-riparian states cannot stay more than 21 days in the Black Sea. According to the Russian military doctrine, any U.S. missile defense systems in Romania and NATO’s rotational presence in the Black Sea should be recognized as “external threats”. 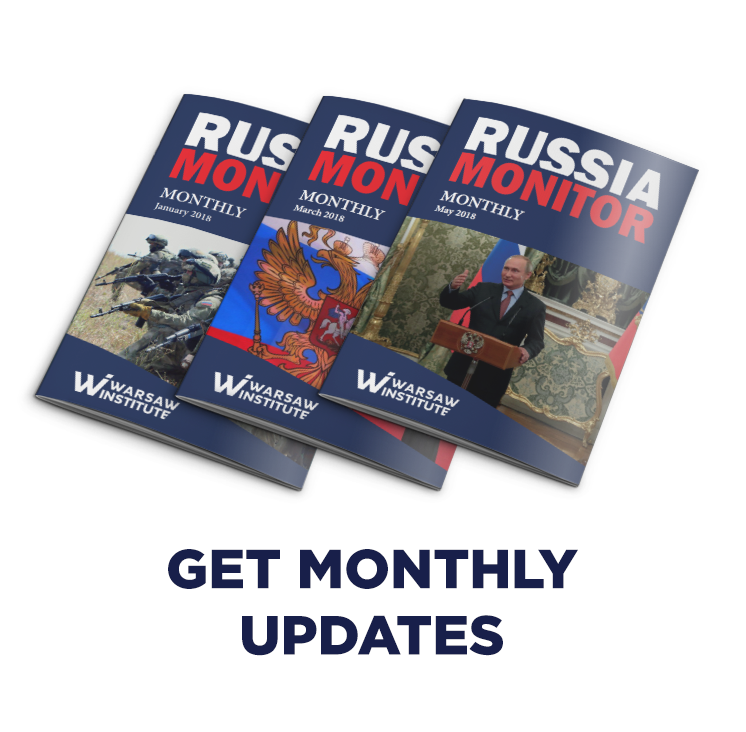 In June 2015, Russia’s Defense Ministry said that the U.S. missile defense base in Romania will be both the first and most important targets in the event of a conflict in the Black Sea region. According to the Russian military doctrine, any U.S. missile defense systems in Romania and NATO’s rotational presence in the Black Sea should be recognized as “external threats”. Back in 2005, Traian Băsescu, who served as Romania’s president at that time, expressed concerns that “Russia treats the Black Sea as a Russian lake.” Following the Russian-Georgian war of 2008, Bucharest increasingly pushed for NATO to consider the Black Sea region its top priority. The Alliance, however, failed to do much there while it was too late to impede Moscow’s invasion in the eastern part of the basin after Russian annexation of Crimea in 2014. Russia is de-facto Romania’s maritime neighbor, hindering research and exploration activities on the shelf and obstructing trade shipping from the Danube to the Black Sea. Also, the A2/AD air bubble over the Crimea intimidates Romania’s free movement in the Black Sea while Russia is capable of targeting Romanian territory from both ground and air positions, making it all increasingly worrisome for Bucharest. Threatened with a feasible Russian intervention, Romania’s NATO allies will be compelled to provide greater military support that they would have to if Moscow did not yield control over Crimea. Threatened with a feasible Russian intervention, Romania’s NATO allies will be compelled to provide greater military support that they would have to if Moscow did not yield control over Crimea. After Moscow’s seizure of the Crimean Peninsula, Romania begun to upgrade its military equipment. Since 2017, NATO allies have been committed to spending at least 2 percent of GDP on defense. So far, Bucharest has signed deals to purchase Patriot air-and-missile defense systems, HIMARS launchers and Spike anti-tank missiles. Referred to as relatively small, Romania’s fleet mainly includes vessels that date back to 1970s and 1980s. 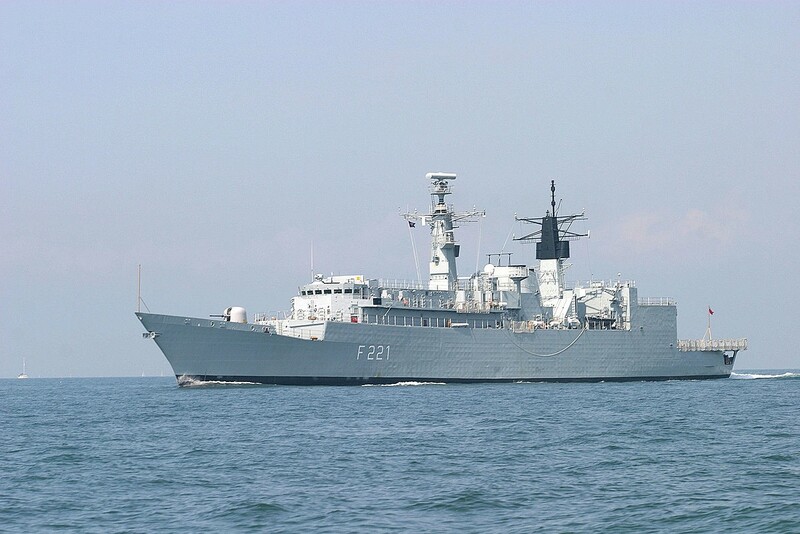 The government in Bucharest, therefore, announced its intention to acquire cutting-edge multi-purpose corvettes and three attack submarines as well as is interested in upgrading two British Type 22 frigates. Simultaneously, Romania is increasingly striving to deepen ties within NATO, as illustrated by the fact that a growing number of Romanian units is actively involved in the Sea Breeze military drills while Bucharest agreed to host the Alliance’s Multinational Division Southeast headquarters. 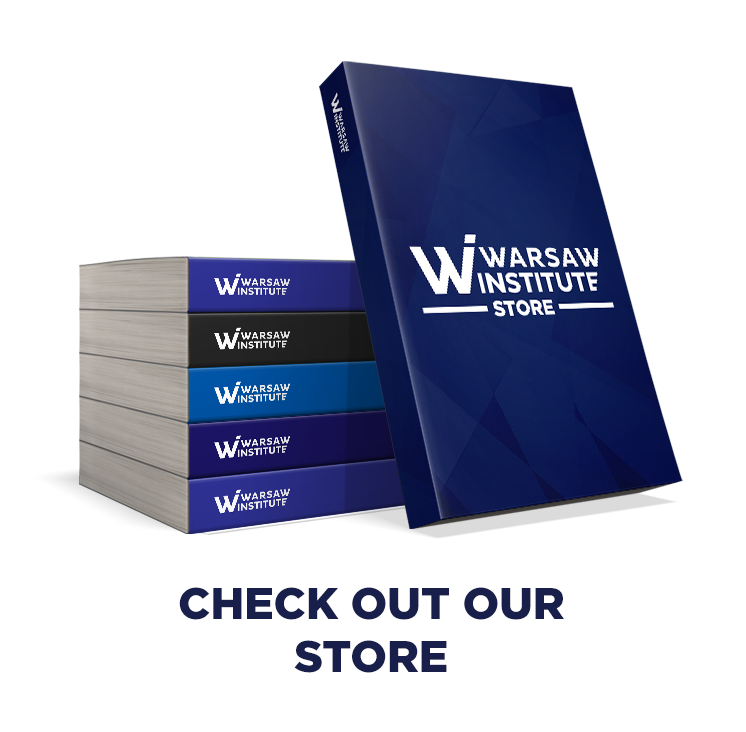 The Romanian authorities have drawn attention to far-reaching imbalances in developing NATO’s military potential in the Baltic and the Black Sea. 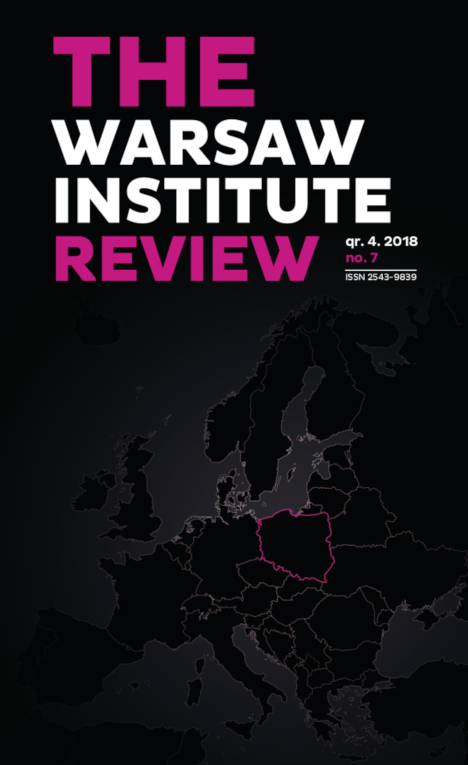 The problem is, however, that Bucharest is the only member of the Alliance’s to voice necessity to strengthen NATO’s southern flank while most of the countries agree that it is vital to intensify defense capabilities on the northern flank. Bulgaria is among most pro-Russian NATO member states – back in 2016, Prime Minister Boyko Borisov brought to a halt Romania’s idea to set up a regional fleet tasked with stopping Russian navy forces. Turkey, which has long maintained its friendly ties with Moscow, was rather reluctant to see other NATO vessels in the Black Sea than its own ones. Thus, Romania first and foremost seeks to focus on a bilateral alliance with the United States, as exemplified by the U.S. air base and locating the missile-defense system in Deveselu. Then Bucharest hopes to address NATO and the European Union. As in the Cold War period, Turkey remains Russia’s chief rival in the Black Sea region. Fortunately for the Kremlin, Russian-Turkish mutual relationships have apparently improved following Moscow’s expansion in that area. This depends on factors that are independent of Russia, including Erdogan’s domestic policy and Ankara’s cooled relations with the West. 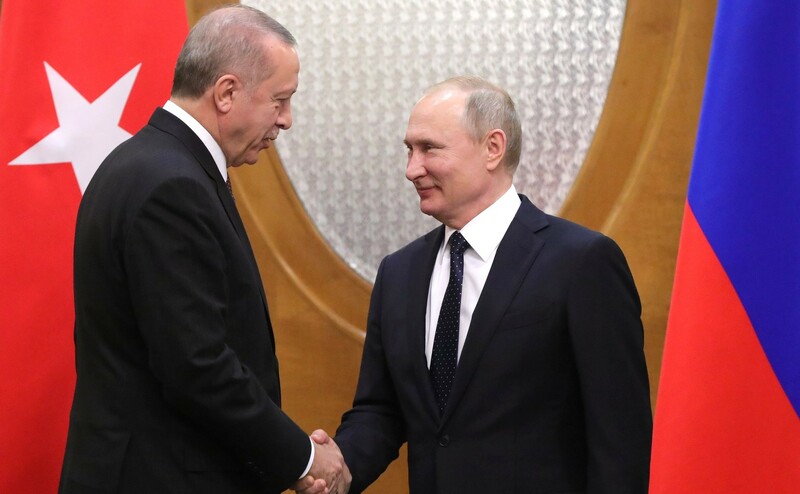 Given its uneasy ties with other NATO allies, Turkey has experienced a rapprochement with Russia, which was mostly induced by its political goals in Syria. This issue is greatly discussed within the framework of the Astana Triangle consisting of Russia, Turkey and Iran. Turkey has purchased modern military equipment from Russia, though it still belongs to the North Atlantic Alliance, as exemplified by the acquisition of S-400 air defense systems. In addition, it is involved in a number of economic ventures, including increased gas exports from Russia to Turkey and plans to build the first nuclear power plant. Regardless of its good relations with Moscow, Ankara strives for impeding Moscow’s activities in the Black Sea. Turkey holds the largest fleet in the region, also exerting control over the Bosphorus. Ankara strives for impeding Moscow’s activities in the Black Sea. Turkey holds the largest fleet in the region, also exerting control over the Bosphorus. Officially, Turkey has never recognized Russia’s seizure of Crimea while seconding Ukraine’s sovereignty on all international levels. Ankara is trying its utmost to balance Russia’s augmenting influence in the Black Sea, which is to be done by granting diplomatic support for Ukraine’s security and territorial integrity. Furthermore, Kiev and Ankara are engaged in cooperation within the Black Sea Naval Cooperation Task Group (BLACKSEAFOR) while Turkish vessels took part in the Turkish Navy-hosted exercise Sea Breeze 2018. Ankara noted the Kerch incident with great concern: Turkey even offered to mediate while Erdogan held on November 28 separate phone calls with Vladimir Putin and Petro Poroshenko. After Russia detained Ukrainian vessels in the Kerch Strait, the Commander of the Naval Forces of Ukraine Admiral Ihor Voronchenko announced Ukraine’s intention to close the Turkish straits for Russian warships. He invoked the 1936 Montreux Convention, which acknowledges such a possibility based on paragraph 20 of the document. Nonetheless, Ankara has not officially responded to such claims. In December, however, the Turkish Naval Forces informed about plans to build a naval base in Turkey’s Black Sea province of Trabzon. Turkey backed Ukraine’s initiative to submit a draft resolution of the UN General Assembly “The problem of militarization of the Autonomous Republic of Crimea and the city of Sevastopol (Ukraine), as well as parts of the Black Sea and the Sea of Azov”. 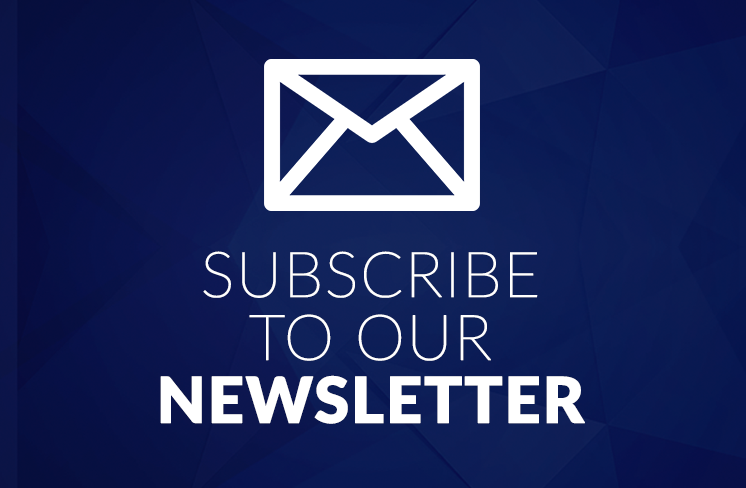 On December 17, 2018, the UN General Assembly adopted the resolution, urging the Russian Federation to withdraw its forces from Crimea and expressing deep concern over Russia’s intensified military presence in the region. As long as Russia does not present a direct threat to Turkey, Ankara will neither engage in further aid for Ukraine nor will it increase NATO’s defensive capabilities. This is equivalent to setting up a bipolar Russian-Turkish alliance in the Black Sea, resulting with weaker NATO’s Balkan flank. 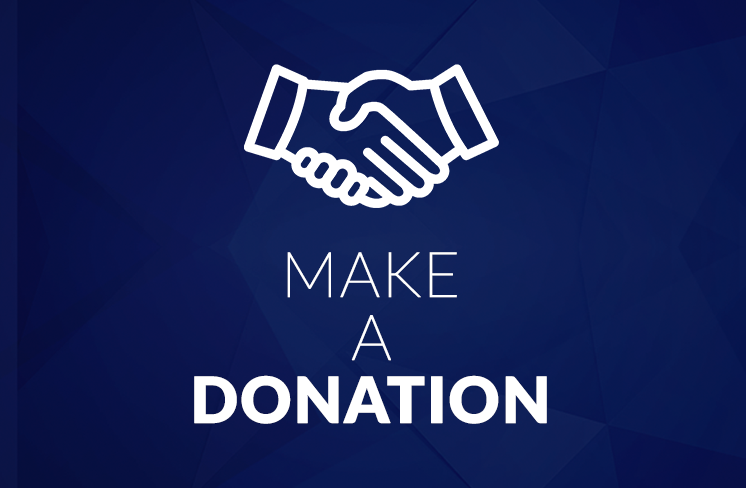 Ankara will neither engage in further aid for Ukraine nor will it increase NATO’s defensive capabilities. This is equivalent to setting up a bipolar Russian-Turkish alliance in the Black Sea, resulting with weaker NATO’s Balkan flank. many years. He is the author of many books and publications on the inside scoop of Russian politics.